The New Republic – While the climate crisis gathers front-page attention on a regular basis, people–even those who profess great environmental consciousness–continue to eat fish as if it were a sustainable practice. But eating a tuna roll at a sushi restaurant should be considered no more environmentally benign than driving a Hummer or harpooning a manatee. In the past 50 years, we have reduced the populations of large commercial fish, such as bluefin tuna, cod, and other favorites, by a staggering 90 percent. One study, published in the prestigious journal Science, forecast that, by 2048, all commercial fish stocks will have “collapsed,” meaning that they will be generating 10 percent or less of their peak catches. Whether or not that particular year, or even decade, is correct, one thing is clear: Fish are in dire peril, and, if they are, then so are we. Website: Dr. Daniel Pauly (Professor, UBC Fisheries Centre and Zoology Department). UBC: the Sea Around Us Project (“to provide an integrated analysis of the impacts of fisheries on marine ecosystems, and to devise policies that can mitigate and reverse harmful trends whilst ensuring the social and economic benefits of sustainable fisheries”). 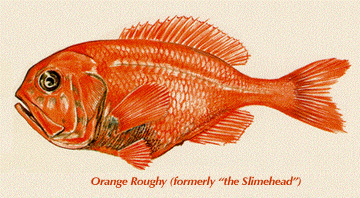 Smithsonian Institution: Sustainable Seafood Guides. Seed Magazine: “Six experts discuss the global fisheries crisis; the economic, political, and social pressures that contributed to it; and what it will take to make fish stocks bounce back” (July 16, 2009). Washington Post: “World’s Fish Supply Running Out, Researchers Warn” (Nov. 03, 2006). Fresh Air (NPR): “The Perils Of Over-Fishing” (Nov. 02, 2009). Listen here, or click below.